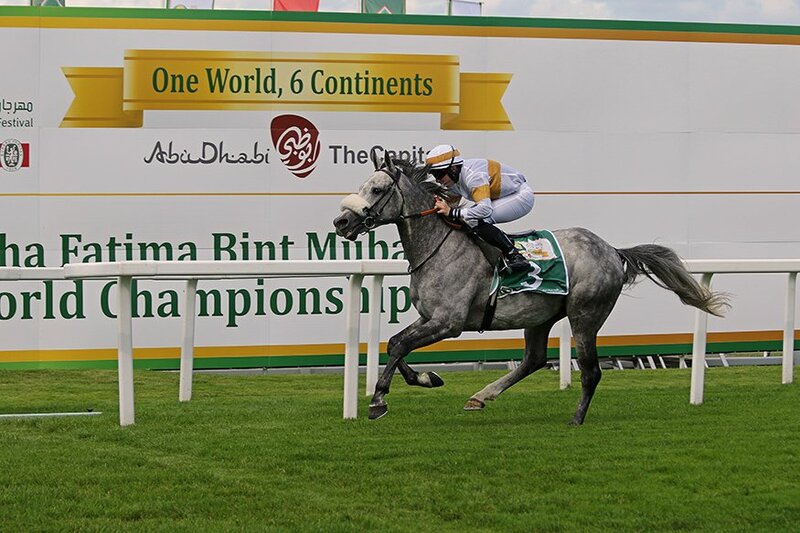 15 August 2016, UK ~ The Arabian Racing Organization (ARO) welcomes the news that the HH Sheikha Fatima bint Mubarak Apprentice World Championship (IFAHR) will be returning to the UK next month on 10 September. The UK leg will feature 10 Apprentice jockeys drawn from around the world who will compete on Purebred Arabians at Lingfield Park racecourse. The winning apprentice of the €20,000 race, will earn the right to compete in the series final, to be held in Abu Dhabi on 13 November. The event will conclude an exciting year for the HH Sheikh Mansoor bin Zayed Al Nahyan Festival in the UK as they have sponsored four full fixtures at Hereford racecourse this season for domestic horses, with the last fixture set for 28 August. In addition, two Emirates Days are taking place at Sandown Park on 19 and 20 August. The HH Sheikha Fatima bint Mubarak Ladies World Championship (IFAHR) and the HH Sheikh Zayed bin Sultan Al Nahyan Cup (Group1 PA) are part of two days of Thoroughbred racing supported by the HH Sheikh Mansoor bin Zayed Al Nahyan Festival.